Specialty Steel Treating has been trusted with heat treating for integral companies within the aerospace industry since the 1950’s. We also provide solutions for industrial entities, for both heavy machinery and automotive needs. Our dedication as a commercial heat treatment company to quality has been central to our success over decades of reliable service to our valued customers. Heat treatment is our specialty, and we aim to fill any need you may have with one of our many possible options. During our vacuum heat treatments, steel is austenitized through a process of applying varying high temperatures to the metal in conjunction with the use of a partial or hard pressure vacuum in order to protect the material and shorten processing time. This leaves the finished product less susceptible to corrosion, oxidation and wear, while improving strength and durability. The process of case application uses diffused carbon to strengthen steel by forming a casing which surrounds the material. This allows the outside to be tough without unnecessarily hardening the entire product throughout. Case application treatments can be applied to a range of metal parts, including high alloy and low-carbon steel pieces. Heat treating via the quenching process involves immersing already appropriately heated steel in an oil, different depending on the type of material used, so that the metal can completely harden. Usually, products are subsequently worked through tempering, stress relieving, or aging procedures as a way to achieve the final desired outcome. Metals can be made stronger through a number of secondary methods, as well. Annealing, tempering, stress relieving, deep freezing and cryogenics techniques can all help make products more resilient and workable. Specialty Steel Treating is a proud commercial heat treatment company and we are able to provide all of these services for our clients. 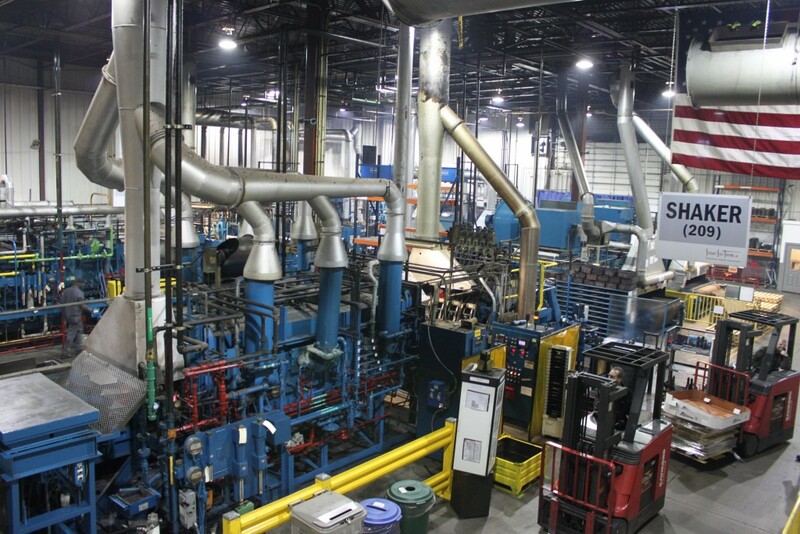 If you are searching for the best commercial heat treating services or heat treatment companies near you, contact us today to get started on a custom solution for your products.